Specifications: Avatar honey is an OEM of all varieties of MGO (Methylglyoxal) Manuka honey and can provide both monofloral and multifloral specification according to NZ Government's (MPI) 5-Attributes manuka definition. 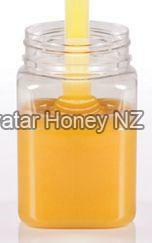 Private Label, Custom Packaging - We can private label manufacture manuka honey in PET and glass jars: 100gm. 10kg, 1kg. 200gm, 250gm, 2kg and smaller pack sizes on request. We can manufacture private label manuka honey powder also. Form Natural Honey. creamed or raw. Grade Standard Food Grade or medicine grade. Feature Anti-bacterial. anti-fungal. immunostimulatory, anti-inflammatory, antioxidant.